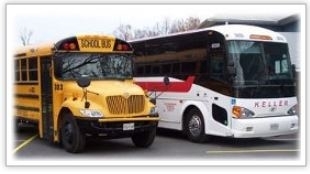 Keller Bus offers private charter bus transportation with luxury motor coaches or school buses, commuter bus transportation from the Southern Maryland to Washington DC and school bus transportation for both Charles County public schools and local private schools. Tired of the traffic? What about the cost of fuel and parking? Take the bus! It’s easier than you may think! Keller provides commuter bus service to Washington D.C. from Southern Maryland under contract for the Maryland Transit Administration. The current pickup locations, schedules and fares are posted on the commuter web page. 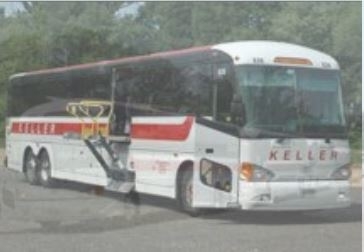 Keller has been providing charter bus service since 1956 for our valued customers in Charles, St. Mary's, Calvert, Anne Arundel, Prince George's Counties as well as Northern Virginia and Washington DC. Our drivers are courteous, experienced and professional. Our buses are dependable, clean and well maintained. We are well known in the area and have an excellent reputation! If your business, school, church, family or social group is going somewhere soon, let us take you there!